Joiin your neighbours at the AGM to celebrate ABC's 60 years (Since 1957!!!). We are a volunteer organization and our strength lies in our volunteers. Our neighbourhood is dynamic and there is always work for volunteers. By serving on the Board, helping out regularly as a Street Representative, or just occasionally on special projects and committees you will be helping to improve your community. To ensure continuity, the ABCRA Board of Directors is elected on a rotating basis. Election to the ABCRA Board of Directors will be held at the Association's Annual General Meeting scheduled for October 18, 2017. Nominees must be registered members of the Association and must notify the current Board of Directors in writing of their intention to stand for election, by October 1, 2017. Prospective candidates are asked to familiarize themselves with the governing documents of the corporation and also to submit, with their notification, a brief resume of their qualifications for the position of Director to be shared with members at the AGM. Notification of the intention of interest to stand for election to the Board of Directors can be sent to the Board by email ( abc@abcra.ca ). Nominees will be contacted by one of the Co-Presidents to discuss their interests and the roles of the Board of Directors of the ABCRA. These commitments are less time consuming than being a member of the Board and are also good ways to be more involved. Special Committees: ABCRA can strike Special Committees to work on special issues. Do you have an issue you think deserves more attention? For example, the aging tree canopy on your street, the need for speed bumps, or Heritage Listings on your street. Perhaps you could form a committee with neighbours to advocate for improvements. The Board can advise and help. Email abc@abcra.ca if you want to talk to someone about these possibilities. The ABCRA Board of Directors is authorized to make most decisions for the Association. If you are a registered member of ABCRA and attend the Annual General Meeting on October 18th, 2017 you may cast your vote. The ABCRA Board of Directors gives notice that ABCRA's 2016 Annual General Meeting will be held at 7:00 p.m. on Tuesday, November 15, 2016, at the Heliconian Hall, 35 Hazelton Avenue, Toronto, Ontario. Federal Candidates were there after the ABCRA Annual General Meeting. Haliconian Hall was packed to the rafters for the AGM and for the debate afterwards. 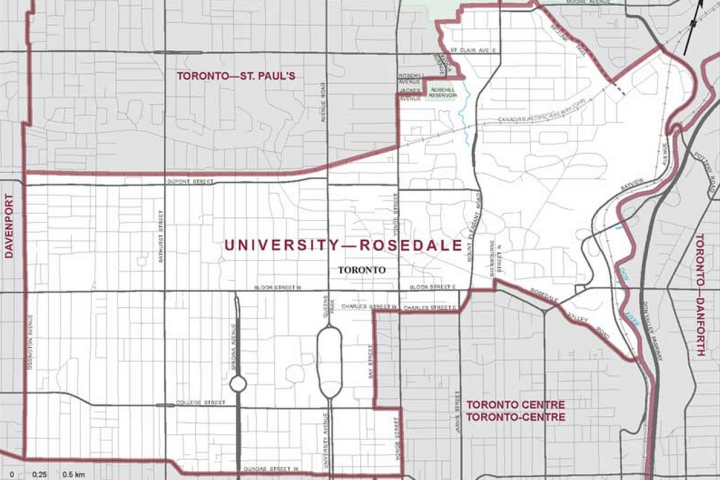 This is also your opportunity to hear and question the University/Rosedale candidates for the Federal Election. Following the Annual General Meeting, there will be a debate among candidates for the Ward 27 Councillor. The debate will start at 7:45 PM. This is your opportunity to hear and question candidates hoping to be elected as Ward 27 City Councillor in the October 28th municipal election. To view the poster go HERE and share it with your neighbours. Please join your neighbours at the Association's 2014 Annual General Meeting which will be held at 6:30 PM on Wednesday, October 8, 2014, at the Masonic Hall, 888 Yonge Street, Toronto, Ontario.